As flood waters recede in Texas, Hurricane Harvey is on track to be one of the costliest natural disasters in U.S. history. Not since Hurricane Katrina, which ravaged Louisiana in 2005, and Gustav & Ike in 2008, have insurance companies been levied with billions of dollars in settlement claims. Fortunately, nearly nine years absent of a significant natural disaster has allowed insurance carriers nationwide to fortify reserves and issue new policies. 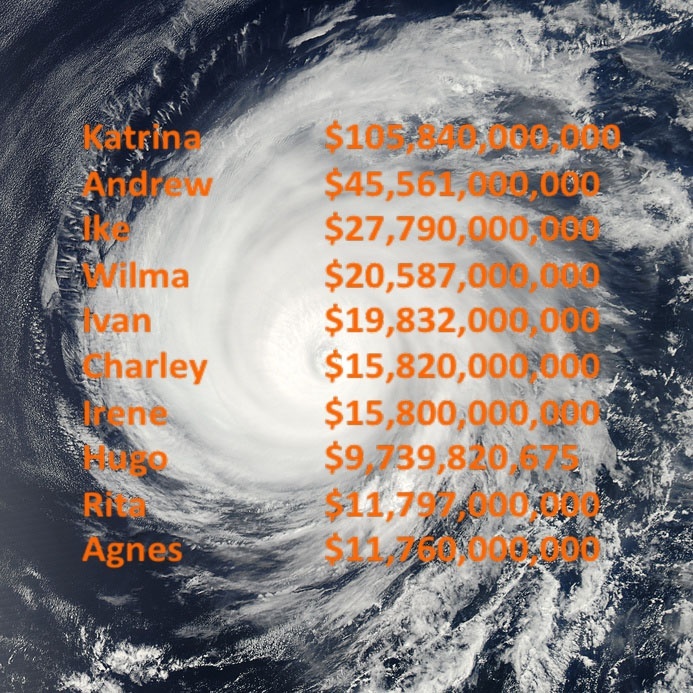 Moody's estimates that property losses from Hurricane Harvey will total between $45 billion to $65 billion, while economic losses will add $6 billion to $10 billion, totaling $75 billion. Other insurance industry estimates run as high as $100 billion, including uninsured businesses and individuals. Historically, rebuilding efforts following natural disasters such as hurricanes, has led to pockets of economic growth. The enormous cost of Katrina in 2005 led to hundreds of millions of dollars for rebuilding homes, roads, buildings, and re-establishing businesses.